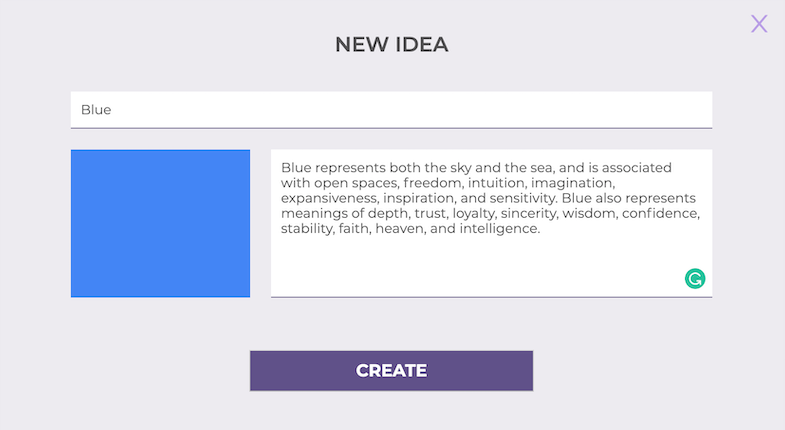 We are pleased to announce that we’ve released our latest pet project, called IdeaSource. It’s a very basic MVP (stressing the minimum part) of a cross-platform app to enable crowdsourcing of ideas, that we used internally as a sandbox to research React Native development front to back. Coming up with good ideas can be hard, especially after a while when echo chambers tend to appear in teams, groupthink takes over and creative solutions are left out of the conversation. 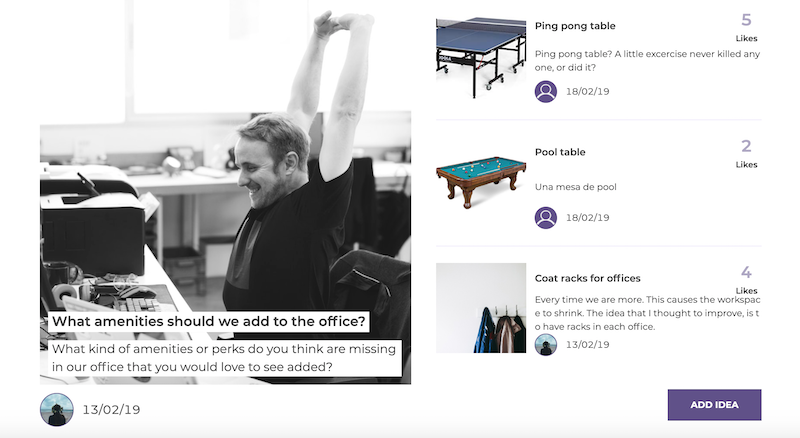 We wished to introduce an easy way to share and manage ideas generated by a larger pool of people than those directly tasked with coming up with a solution, providing mechanisms for everyone to vote to sort the proposed ideas. It’s about opening the discussion an enabling everyone to participate in a creative process, both in the generation of ideas, and in their sifting/sorting by means of likes. Ideas are gathered around challenges, which can be problems, aspects or topics a group or organization may need to fix or improve. A challenge can be anything ranging from the next feature/product to invest in, to what could be the new perk in the office, to creative ways to address pollution in a municipality. In order to create a challenge you must enter a description, upload an image and set a deadline. Challenges can be either private or public. 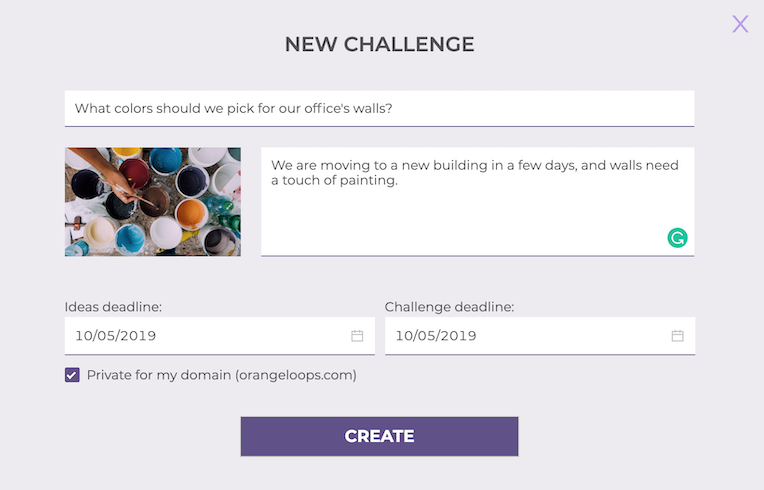 Private challenges are only available to users registered using the same corporate email domain, while open challenges are open for every user in IdeaSource. We may review this in the future, but for v1 this is the way it works. Once a challenge is submitted, everyone can start contributing ideas, and votes for ideas already shared. Challenge creation and management: Create open or closed challenges scoped only to users that share your email domain. Idea sharing: Propose ideas for the challenge you feel closer to. Reacting to ideas: Navigate and react to ideas with ease. Everything organized in your own profile: Check out the ideas you have created or liked, and the challenges you shared within your personal account. The app can be downloaded from the App Store and Google Play Store, as well as it can be tried from the web browser. 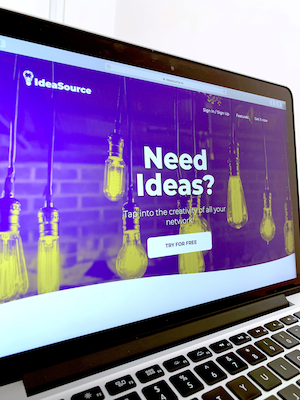 Regarding the code base, IdeaSource is meant to be an open source project for open innovation in organizations, so that it can be forked and modified, and for custom versions to deployed. In the following weeks we’ll be sharing the github code repo. In the meantime, we would love you to try it and provide feedback!! Each year brings its share of trends regarding technologies that push the envelope of what can be achieved in mobile app development. 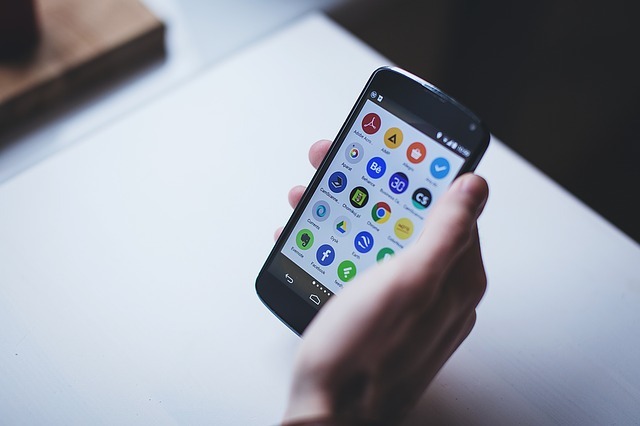 If you want to keep up with the mobile apps industry is important to take a look about what to expect for this year, and this post will help you with it! We consider these to be among the top trends shaping mobile app development in 2019. The presence of AI in our mobile devices is something that has been around for some years now, bringing automated assistants that can perform tasks and interact with real people, like Siri from Apple. These assistants are improving every year by learning user behaviors in order to provide a more accurate and personalized experience. For instance, Google recently launched an AI project called Google Duplex that allows users to ask their phone’s Google Assistant to make reservations by phone call, simulating a human voice and being capable of having a fluent conversation with the person on the other side of the line. 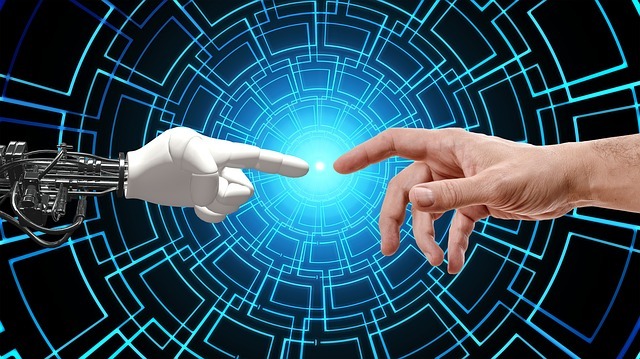 The same happens with chatbots, which allow businesses to automate the most frequent interactions saving humans time, and reducing cost for the enterprise. It’s estimated that by 2020, 85% of customer interactions will be handled without a human according to Gartner. Even Facebook announced that last year more than 300,000 bots were used by enterprises over Messenger, and the API to enable chatbots in Whatsapp was introduced a few months ago. Chatbot platforms make it easier to implement chatbot based solutions, and users are becoming every day more used to text & voice based interactions with apps and software in general. It is in a way a new frontier in user interfaces, and it will affect the development of custom mobile apps. Be it as a way to enable hands off interaction with an app, or as a front-end to interact with several back-end systems through a chat based interaction, or as way for apps to respond to commands that were triggered through a voice assistant, such as Siri shortcuts. This is why mobile developers must keep a close watch on chatbot and voice assistants. Augmented Reality (AR) technologies are not a new thing but they are becoming better and more pervasive every year, reaching unprecedented levels. 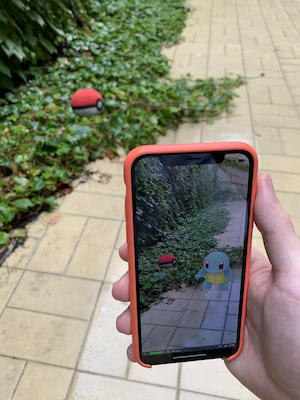 Mobile games like Pokémon GO made this so popular that thousands of people were interacting with virtual objects and creatures that don’t exist but were displayed over the screen thanks to AR. However, applications for this technology can go even further in business critical fields such as: security, health, training, industrial maintenance and more. For instance, police officers in China are starting to wear smart glasses that allow them to identify suspects by face-recognition systems and even spot criminals in the crowd. Although they are still experimenting with it and working to exploit AR in the fight against crime. It is an interesting use case of applying AR in society’s matters and no doubt it will occupy an increasingly important place because, according to Statista, the number of AR glasses shipments worldwide will reach around 22.8 million units by 2022, and its market size is forecast to hit more than 20 billion U.S. dollars at the end of this year. 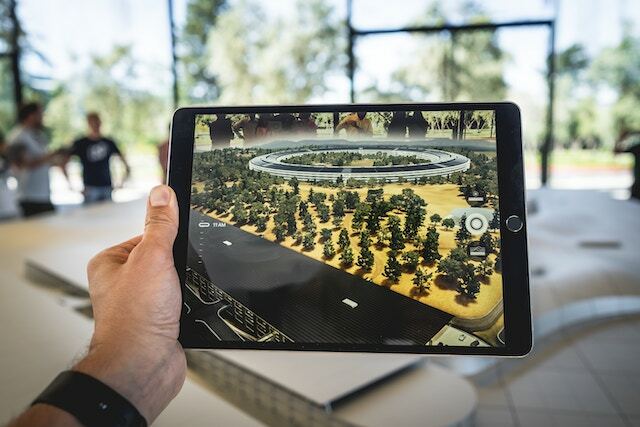 Apple has recently introduced the ARkit to foster augmented reality experiences in custom apps, based on the camera capabilities of both the front and rear camera. 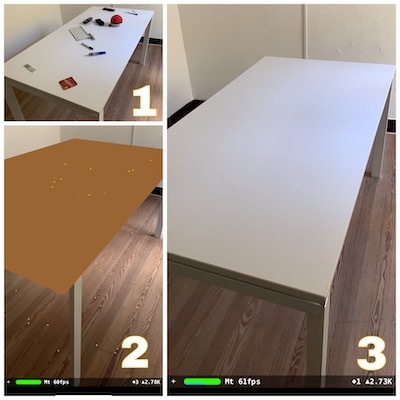 Enabling iOS developers to add elements to the camera display in a way that makes those elements appear to inhabit the real world. This has huge applications in gaming, but also in enterprise information systems where real world objects such as business cards can be augmented with animated metadata on the fly. Nowadays, almost every gadget or household appliance that you can think of is being built with Internet access. And not only for checking Red Sox’s last game score in the microwave screen while you heat the waffles, but for connecting with the rest of the house and electronic devices in order to become a unified system that can be managed by your smartphone. Jokes aside, the called “smart homes” are starting to grow in number and becoming a game-changing topic for mobile development. This is because there is no better way to control your house behavior than by using your phone. Imagine reaching (or leaving) your home and being able to unlock doors, open windows and turn on lights with just one touch. 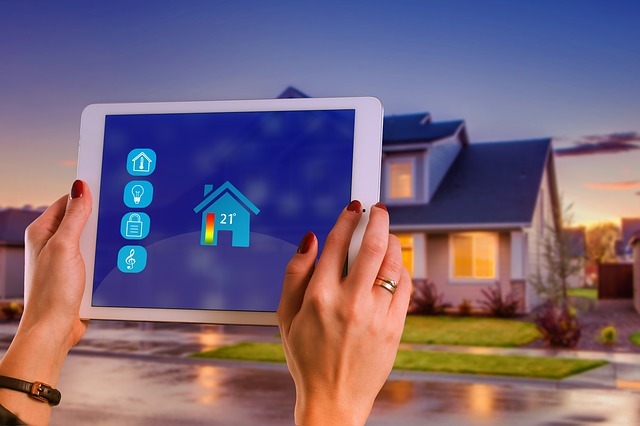 Those things are possible now and keep being improved to allow domestic appliances perform more complex tasks, managing them with mobile apps such as Apple’s “Home”. In fact, according to IDC, investment in IoT is expected to surpass the $1 trillion mark by 2022, and the development of mobile apps for that purpose goes hand in hand. In this sense Apple has introduced the HomeKit library in the iOS SDK bridging the gap between mobile developers and the sea of iOT protocols, and smart devices and gadgets out there. There was a time when we had to pay for everything in cash. Then credit and debit cards appeared so we didn’t need to carry a lot of money bills in our wallets. But there is a common denominator here, the wallet. That thing that we usually have in our pockets didn’t change. Until now. The wallet of the future will be your own mobile phone, and that future is starting to become present. 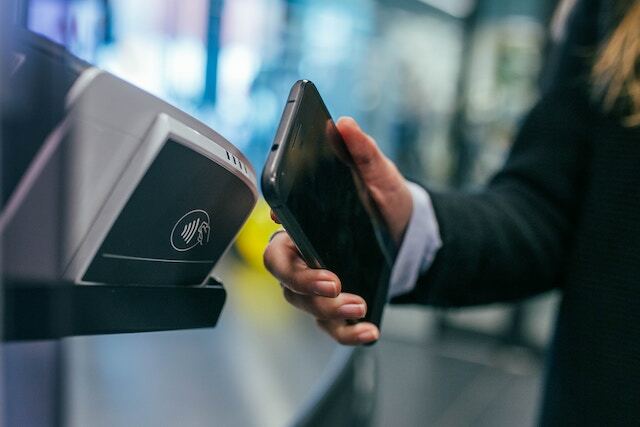 Mobile payment systems such as Apple Pay are growing in usage and popularity. According to eMarketer, by the end of this year about 36% of the worldwide mobile users will use a mobile payment app. Maybe one of the most advanced markets in this sense is China where not only upper and middles classes are using mobile wallets for their daily purchases, but word is that even some beggars use the famous WeChat app to ask for money. In this context mobile developers must be ready to add mobile payment capabilities to their toolbox. There’s Apple Pay, but that’s just one in a growing market of mobile ready payment gateways. Also as in every other topic when something becomes more and more popular, related features and capabilities increase in importance as well. For example, elements like biometric, and multi factor user authentication in apps should be something to consider for mobile app developers. Using your body to prove that you are actually yourself is a common feature of new mobile devices. In fact, several researches prove that more than 60% of smartphone shipments come with fingerprint scanning capabilities, and that number keeps growing. This kind of authentication technology is being improved every year, developing a faster and precise scanner that is now even built below the screen. 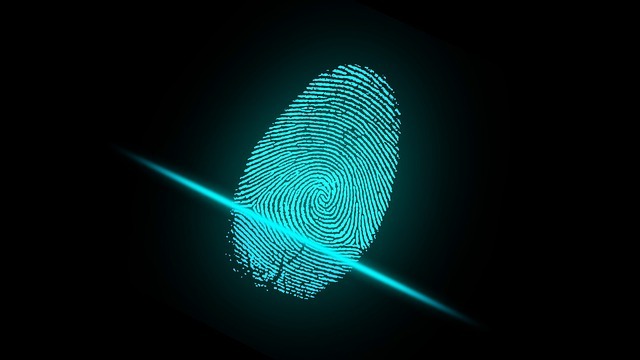 Biometric authentication in mobile devices is now a mainstream. Not only used to unlock your phone but also to log into your bank account or any other sensitive digital space where you expect to have your data protected. Obviously, like any other security measure in the mobile world, it has its flaws, but biometrics combined with classic authentication methods represent state of the art authentication security. Mobile developers must be ready to include technologies such as: FaceID, or TouchID capabilities to their mobile apps. Making a fast and user-friendly website that performs well in any device (especially in mobiles) is one of the main goals for developers. People leave sites that take too much time to load, and the same happens with applications. AMP and PWA bring new ways to tackle and old problem. AMP (Accelerated Mobile Pages) is an open-source library that provides a way to boost the performance of a web page and to improve its load time. It was introduced some years ago and gained popularity among web development because of its effectiveness. On the other hand, Progressive Web Applications are web apps that behave just like a mobile native app in order to create a reliable, fast and engaging experience for users. The advantage of this technology is a cheaper development cost comparing to developing a traditional native application, but with closer results. AMP and PWA can be integrated together to take the best of both worlds, and that is why mobile devs are working with them having in mind that most of the web browsing occurs in a mobile device. Not only they enhance user engagement in your website, but also improve your visibility over search engines getting more traffic as a result. Because of this, both technologies form an important trend in mobile app development for 2019 that you shouldn’t miss. The next generation of cellular networks is hitting the door, and it is expected to reach the market by 2020. Experimental tests and researches hold that 5G is faster, cheaper and more stable than 4G, consuming even less energy. This is why there are already mobile phones being developed with this brand-new technology in order to be prepared for its arrival, such as the Samsung Galaxy or the Moto Z3. Even though everything is still too recent, mobile apps and the device as well needs to fit the 5G requirements, because we are talking about the network of the future. According to Statista, the number of 5G connections is estimated to reach between 20 million and 100 million by 2021. And a mobile device can lose quickly its user-engagement if it is not suited for that new technology meaning it won’t have a connection speed as fast as the competence. 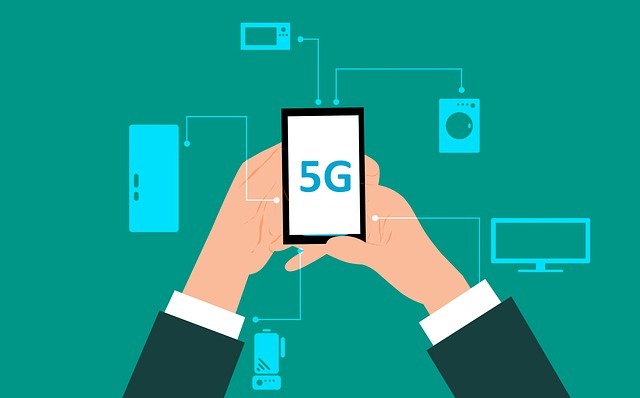 So, what does 5G mean for mobile developers? Well, among other things: improved content, and specially video based experiences, including 4k video streaming, but also bandwidth to better handle heavy VR & AR 3D objects. Not to mention app bundle size becoming less of an issue, and more users willing to work on the go as the gap between mobile and wifi connectivity becomes less noticeable. The breach between phones and tablets is merging into a new category; the foldable phones. 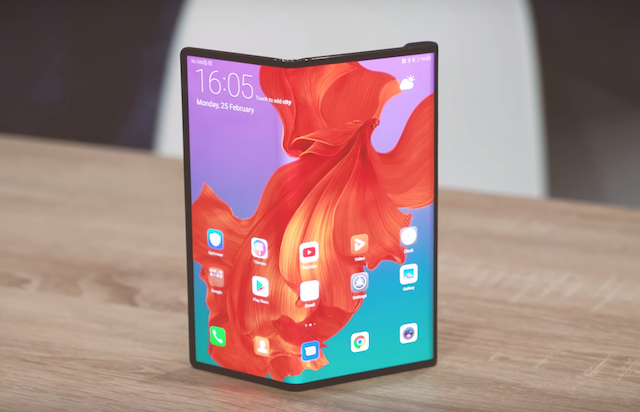 These ones are starting to become known and the first models are expected to appear this year, like Samsung’s Galaxy Fold and Huawei Mate X. DSCC (Display Supply Chain Consultants) forecast that in 2019, around 1.65 million foldable OLED panels will be shipped worldwide, reaching 60 million units by 2022 what shows a clearly fast grow. For the time being, this is only a thing in the Android side of things, but it will have implications when developing user interfaces. Mobile apps will probably need to be optimized for that instant change of screen size between the folded version and the unfolded one. It will introduce yet more complexity and dispersion to the already crowded space of different screen sizes in the Android world, maybe opening more opportunities for players that automate the generation of user interfaces in apps. Even though the Beacons technology has been established for some time now, it didn’t reach its full potential yet. 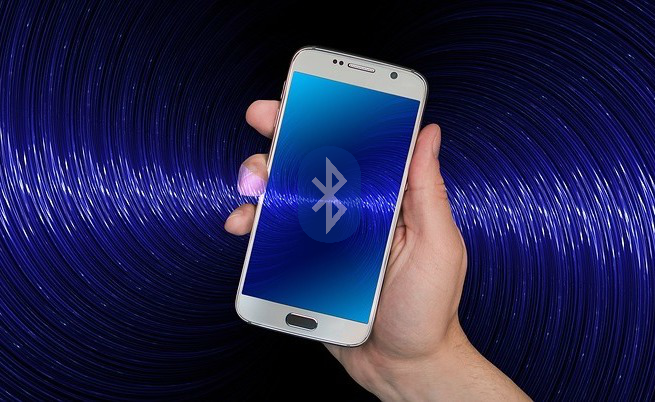 Beacons are devices that emit BLE (Bluetooth Low Energy) radio signals that smartphones can see and in most cases respond to. For example, stores can take advantage of this by sending day offers or information to customers that walk into the store, through their own app. That’s not the only thing BLE could work for. In fact, we have created ourselves a nearby messaging app based on BLE, and it’s also heavily used in mobile payments scenarios. It remains to be seen whether BLE and beacons in general will take off in 2019. The iTunes app store has turned 11 this year. After an initial cambrian period of exploration the market has settled several years ago on two main mobile platforms, iOS and Android. These platforms have matured and in turn this has enabled a number of frameworks such as: React-Native, Flutter, Xamarin, Kotlin-Native to evolve over the years. The problem of managing and keeping up with multiple code bases for one mobile app is a tough problem. Any one who has struggled to achieve and sustain feature parity providing a common user experience among platforms knows this. This is not a breaking trend but more like a creep, or a steady rise of what represents a viable alternative to native development. The space of user experiences only achievable through native development is slowly but steadily becoming thinner over the years. There will probably always be experiences that only native mobile development will be able to achieve, but experience in some hybrid development framework should be part of the toolbox of any mobile app developer this year. Particularly for developing MVPs, or any early stage product release where product market fit is not yet assured. 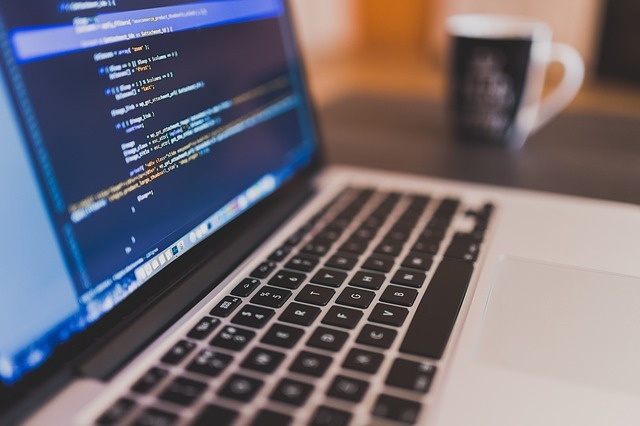 In these contexts hybrid development frameworks provide an increasingly solid path to save money, time, and headaches. The list of trends mentioned in this post is based on research and the opinion of our mobile team, but it’s not by any means extensive. Other trends did not make the cut, such as instant apps, and blockchain in mobile, but what do you think? What are your thoughts about this year trends? Leave a comment below and tell us!